The Weather - Due to its location, the weather in Greece is what most holiday-makers would consider ideal: the summers are warm but not terribly hot and the winters are very mild. The ocean acts as a great insulator and provides very pleasant breezes and the lack of great altitude ensures very little rain. The sun shines most of the time and the temperatures average out at around 25º-30ºC. You are unlikely to find bad weather there, but if you want to check to be sure you can go to sites such as Holiday Weather for more information – you will almost certainly be happy with what you find. 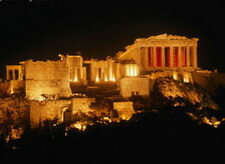 Antiquity - Greece has one of the oldest and most fascinating histories of any country on the planet. While there you should definitely check out some of the impressive world heritage sites. The best idea is to simply order a tour from your hotel or resort, which will take you all the way there where you can harvest all the facts from the mind of your guide. Where you can visit obviously depends where in Greece you end up. If you have a chance one of the must visit places is Delphi, near Athens, where historical archaeological sites such as Pithia and the Temple of Apollo are just waiting for you to discover them. If you feel like a little more adventurous you could leave the mainland and visit Rhodes, which has some of the most amazing fortresses and historical sites on the planet. There are a number of cheap ways to get to Greece, depending on exactly what you are looking for. You have two major choices: build your own package or use one of the pre-assembled online packages. The latter is almost always the cheapest option unless you are electing for a completely bare-bones package. The former involves visiting cheap airline sites such as ryan-air.com and then booking your accommodation separately. This does offer a lot of customizability and freedom although it often can turn into a major headache, which you really don’t want on your few days of freedom. The best idea is usually to elect for a package holiday, such as those offered by directline holidays, which will take care of everything for you. The best thing about these kinds of packages is just how easy they are – they are tried, true, and well supported. There will be people you can speak to in English and plenty of activities easily booked. Almost more importantly, the fact that these package holidays are well established usually makes them a lot cheaper than the alternative. 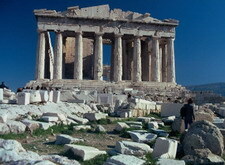 Other - The currency in Greece now is the Euro, which makes your life a lot easier. You will never get a rate that good but is should be pretty close. You can also quite easily take your credit/debit card instead of changing all that cash – there are plenty of ATMs and most merchants accept cards. You only really need cash for the myriad small trinket and food stores you will certainly find scattered around. Restraunts and food in Greece are generally much cheaper than they are back home – particularly if you go a little off the beaten track to find that authentic flavour. There are plenty of review sites available to you online – you just have to go looking. You really don’t need any shots or any major preparation to visit Greece – it is a very modern country – just make sure you get your travel insurance and you will be fine. There is little else to say in this short guide – in summary, hunt for good package deals, pack light, take cards, and make sure you wonder off the beaten track a little – you’re sure to have a great time! To find your perfect Greece holiday, visit www.directline-holidays.co.uk and search all the resorts & islands in Greece in one easy step.